Giuseppe Verdi (1813-1901) called himself “a peasant from Roncole”. He was modest, humorous, good-natured, economical, brusque, spirited, solitary, unapproachable and demanded exorbitant honoraries. Verdi was born in Roncole in 1813, a small village near Busseto in the Duchy of Parma, which was then part of Napoleon’s Kingdom of Italy. His exact birth date is uncertain. 1813 was also the year of birth of Richard Wagner. The two composers, whose music and subject matter could not have been more different, revolutionized the opera and continue to influence it even today. Wagner was concerned with myths and gods whereas Verdi was more concerned with human beings and their problems. Verdi’s father Carlo (1785–1867) was an ‘innkeeper’, his mother Luigia Uttini (1787–1851) a ‘spinner’. Both belonged to families of small landowners and traders. They were certainly not the illiterate peasants from which Verdi later liked to present himself as having emerged as an autodidact. On the contrary, Carlo Verdi furthered his son’s education. Before the age of four, Verdi began instruction with the local priests, probably in music too. When Giuseppe was 7, his father bought him an old spinet. The son was soon substituting as organist at the local church of San Michele, taking the position permanently at the age of nine. In 1823, the family moved to Busseto where, at the age of 11, Verdi entered the ginnasio where he received training in Italian, Latin, humanities and rhetoric. In 1825, Giuseppe began taking lessons with Ferdinando Provesi, maestro di cappella at San Bartolomeo in Busseto and director of the municipal music school and the local Philharmonic Society. In 1829, Verdi applied unsuccessfully for the post of organist at nearby Soragna. He was becoming increasingly involved in Busseto’s active musical life, both as a composer and as a performer. He later recalled that from the ages of 13 to 18 he wrote marches for band by the hundred, symphonies, five or six concertos and sets of variations for pianoforte, serenades, cantatas and various pieces of church music. In May 1831, Verdi moved into the house of Antonio Barezzi, a prominent merchant in Busseto and a keen amateur musician. Verdi gave singing and piano lessons to Barezzi’s daughter Margherita (1814-1840) and the young couple became unofficially engaged. At about the same time, the musical world of Busseto became too small for Verdi’s ambitions. His father applied to a Bussetan charitable institution, the Monte di Pietà e d’Abbondanza, for a scholarship to allow Giuseppe to study in Milan. The application, bolstered by glowing references from Provesi and others, was successful; but no scholarship was available until late 1833. However, Barezzi guaranteed financial support for the first year and in May 1832, at the age of 18, Verdi traveled to Milan and applied for permission to study at the conservatory. He was refused entry because he was four years above the usual entering age and was not a resident of Lombardy-Venetia, but also because his unorthodox piano technique. Verdi suffered from this “official” rejection until the end of his life. For three years, Barezzi sponsored Verdi’s private study in Milan with Vincenzo Lavigna, who had for many years been maestro di concertatore at La Scala. According to Verdi’s later recollections, his lessons with Lavigna involved little but strict counterpoint. He said he did nothing but canons and fugues. No one taught him orchestration or how to treat dramatic music. Again, this insistence was probably a further attempt by Verdi to fashion his image as a ‘self-taught’ composer. Contemporary evidence suggests that Lavigna encouraged Verdi to attend the theatre regularly, and his letters of recommendation specify study in “composizione ideale” (free composition) as well as in counterpoint. Lavigna also helped his pupil enter into Milanese musical society. In 1834, Verdi assisted at the keyboard in performances of Haydn’s Creation given by a Milanese Philharmonic Society directed by Pietro Massini and a year later co-directed performances of Rossini‘s La Cenerentola with Massini. Provesi had died in 1833, leaving open the post of musical director in Busseto. By June 1834, Giovanni Ferrari had been appointed organist at San Bartolomeo. Encouraged by Barezzi, in 1836, Verdi was appointed maestro di musica, that is, to the secular portion of Provesi’s post. The same year, Verdi married Margherita Barezzi and settled in Busseto, directing and composing for the local Philharmonic Society and giving private lessons for the next three years. In those years, he and Margherita had two children, Virginia (26.3.1837-12.8.1838) and Icilio Romano (11.7.1838-22.10.1839). But the ambitious Verdi was looking for success in opera. In April 1836, he renewed his contact with Massini’s Milanese society by composing a cantata for them, to words by Count Renato Borromeo, in honour of the Austrian Emperor Ferdinand I. Verdi also composed an opera entitled Rocester, to a libretto by the Milanese journalist and man of letters, Antonio Piazza. During 1837, Verdi tried unsuccessfully to have the opera staged at the Teatro Ducale in Parma. With Massini’s help, Verdi eventually arranged for a revised version of the opera, now entitled Oberto, conte di San Bonifacio, to be performed at La Scala. In October 1838, he resigned as maestro di musica of Busseto and, in February 1839, left for Milan. Nine months later his first opera received its première at La Scala. The success of Oberto encouraged Bartolomeo Merelli, impresario at La Scala, to offer Verdi a contract for three more operas, to be composed over two years. The first was the comic opera Un giorno di regno, which failed disastrously on its first night in September 1840. Verdi composed it in the period of the tragic loss of his wife Margherita (June 1840). In the previous two years, they had lost their two children. Therefore, Verdi was probably not in the right mood to compose a comic opera. He was deeply touched and partly renounced the composition. His next opera, Nabucco, appeared only 18 months later. However, Verdi continued a level of professional activity by writing new music for, and supervising several revivals of, Oberto. In 1942, the success of Nabucco was unprecedented in Milan. The prisoner’s choir by the Hebrew slaves, Va, pensiero, unofficially became the second anthem of Italy and, today, is still often played at numerous public events. In the following decade until March 1853, the première of La traviata, Verdi produced 16 operas, an average of one every nine months. In comparison, Donizetti produced 70 operas in 25 years. Nonetheless, Verdi’s most prolific period with excessive work caused his health to break down frequently. At the same time, he had achieved financial security. In 1844, he began to acquire property and land in and around Busseto. The success of Nabucco opened doors in Milanese society. Verdi met the soprano Giuseppina Strepponi, who was to become his lifelong companion. Apart from a brief visit to Vienna in 1843, Verdi remained within the Italian peninsula until March 1847, when he went to London and Paris to supervise the premières of I masnadieri respectively Jérusalem, his first operas to be commissioned from outside Italy. With Giuseppina Strepponi, Verdi stayed about two years in Paris, interrupted by a visit to Milan during the 1848 uprisings and a trip to the short-lived Roman Republic to supervise the première of La battaglia di Legnano in 1849. Verdi returned with Strepponi to Busseto in mid-1849. The couple was still unmarried and caused a local scandal. Giuseppina had several affairs and three illegitimate children. She was even called a whore. Verdi only married her in 1859 in Collonges sur Salève near Annecy. In 1851, the couple moved to the nearby farm of Sant’Agata, land once owned by Verdi’s ancestors. At the beginning of his operatic career, Verdi’s main stylistic influences were his immediate Italian predecessors. Rossini, the point of reference a decade earlier, was now rather outdated in the field of serious opera. However, echoes of the Rossinian model remain e.g. in overtures such as Giovanna d’Arco and La battaglia di Legnano, and Nabucco owes something to Rossini’s Mosè. The most important of Verdi’s first influences was Donizetti, the most successful composer then active in Italian opera. In the late 1840s, the French models increasingly influenced Verdi’s aria forms. Also non-operatic French theatre, in particular the mélodrame tradition, had an impact on Verdi, e.g. in the final scene of Stiffelio. Verdi had composed his first four operas for the relatively large stage of La Scala in Milan. Ernani (1844), however, was written for the more intimate context of Venice’s La Fenice. It was a step from the monumental historic opera dominated by the choir towards the musical drama in which the psychological characterization of the protagonists was at the center. Alzira and Attilawere other operas in this direction. With Macbeth, which premièred in Florence in 1847, Verdi turned to Shakespeare. It was a new turn in his career. Orchestration and harmony reached an unprecedented level. Verdi also exploited music of the ‘genere fantastico’ (the fantastic or supernatural genre). I masnadieri and Il corsaro were essentially conceived before Macbeth. It was with Rigoletto that Verdi once more broke new ground. It included a new expansion of genres, which e.g. saw further use of comic opera styles within a serious context. Rigoletto was based on Victor Hugo’s Le Roi s’amuse (1832). The Austrian censors first refused the depiction of royal misbehaviour. Then, Verdi’s librettist, Francesco Maria Piave, switched the place of the action from Paris to Mantua and made of the French king a duke. For tactical reasons, the court jester, Tribonet in the original version, became Rigoletto (from the Frenchrigolo: funny) and the title hero of the opera. In Rigoletto, the orchestration is powerful and differentiated. Formal structures are dissolved. The initial success at La Fenice in Venice could be repeated outside Italy. Since then, it has been one of the most performed operas by Verdi. Il trovatore started life as a sequel to Rigoletto, this time with an outcast female protagonist – the gypsy Azucena – claiming sympathy. As Salvatore Cammarano unexpectedly died in 1852, it was up to Leone Emmanuel to finish the libretto according to Verdi’s wishes. Il Trovatore is based on the drama El Trovador (1836) by the Spanish writer Antonio Garcia Gutiérrez. The opera evolves in an atmosphere of obsession, violence and melancholy. But the drama’s operatic manifestation proved very different from Rigoletto. In Il Trovatore, there is no “fusion” of genres, all the main characters express themselves in the traditional forms of serious Italian opera such as arias, duets, etc. The achievement of the opera lies in this restriction of formal discourse, the emotional energy of the drama being constantly channeled through the most tightly controlled, formal units. Verdi also used dreams, tales and memories with a strong symbolic character. The success of Trovatore is a reminder of the fact that the composer did not evolve in a straight line. After Rigoletto and Il Trovatare, La traviata, “the one who deviated from the right way”, is the last opera of Verdi’s “trilogia popolare”. It is again anomalous in the sense that it gestures towards a level of “realism” very rare in Verdi’s earlier operas (perhaps Stiffelio is its nearest cousin). La traviata concentrated on the inner life of its protagonists. According to the Harenberg Opernführer, its failure at the première was due to the fact that Verdi offered Italian society a mirror of its absence of morality. Furthermore, only the leading female singer was up to the job at the première night in 1853, whereas the tenor and the baritone were failures. The libretto by Piave was based on Alexandre Dumas’ La Dame aux camélias (1852). But the second production in Venice in 1854 was a triumph. At the same time, La traviata became a favorite object of parody, the most famous being the film A Night at the Opera by the Marx Brothers. After a series of operas considered less important, Aida, which premièred in Cairo in 1871, was another triumph and a milestone in Verdi’s career. The composer was originally asked to compose it for the opening of the opera season in Cairo, in relation to the official opening of the Suez Canal. But Verdi initially refused. Only in June 1870, after the opening of the Suez Canal, did he accept after the librettist Antonio Ghislanzoni had spent a long period persuading him. Verdi’s Aida is based on the story La Fiancée du Nil by the French Egyptologist Auguste Mariette. Verdi demanded an enormous fee and strictly surveyed the entire production. Due to the French-German War of 1870, the première had to be postponed because all the decorations and costumes were made in Paris and could not leave the city because of the German siege. Verdi was not present at the opening night in Cairo. He concentrated on the European première at La Scala in Milan in 1872 where it became an even greater triumph than in Egypt. Aida distinguishes itself by a colorful score and an intimate chamber drama structure. With the exception of the scene of triumph in the second act, the opera concentrates more strongly than the ones before on the inner conflicts of its key figures. However, until the radical new interpretation by Hans Neuenfels in Frankfurt am Main in 1981 (and even until today, e.g. in Verona), sumptuous and spectacular production which put the accent on the mass scenes have dominated. After Aida, there was to be no Verdian operatic première for 16 years. However, the creative stagnation was not complete. In 1873, while supervising performances of Aida at the Teatro San Carlo in Naples, Verdi wrote and had privately performed the String Quartet in E minor. In 1874, he composed the Messa da Requiem in honour of Alessandro Manzoni. Among the reasons for the absence of new operas was the increasing financial security Verdi enjoyed, which made work cease to be a necessity. He concentrated on the development of his substantial land holdings and, increasingly, on various charitable causes. He also spent considerable time supervising and directing performances of Aida and the Requiem. In 1875, he undertook a tour to Paris, London and Vienna with the Requiem. At the same time, his personal life was overshadowed by a continuing public scandal caused by his relationship with the soprano Teresa Stolz, who had been the first Leonora in the 1869 version of La forza del destino and the first Aida in the Milanese première of that opera in 1872. Verdi also wrote the soprano solo in the Requiem for her. Matters between her, Strepponi and Verdi came to a head in 1876 but eventually resolved with the status quo intact, Stolz remaining a close friend of Verdi and his wife Strepponi. But the most serious obstacle to continued creative activity was Verdi’s increasing disenchantment with the direction of newly-cosmopolitan Italy. Early in the 1870s, Verdi was asked for advice about a revised curriculum for the reformed Italian conservatories. His suggestions were austere in the extreme: students should submit to daily doses of fugue and study only the old Italian masters; budding composers must attend few performances of modern operas and avoid becoming fascinated either by their many beauties of harmony and orchestration or by the diminished 7th chord. On many other occasions, Verdi showed his discontent with the cosmopolitan direction Italian music was taking, in particular its newest fascination for the German music and opera and for the symphony. 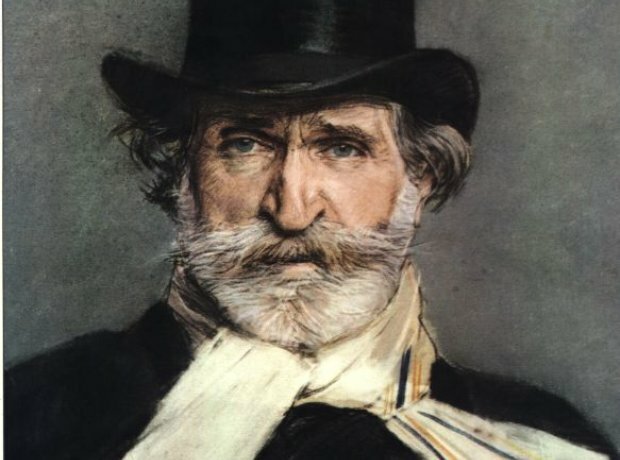 Verdi’s self-imposed retirement was a result of the decline of the popularity of his early operas, revised or not. By the 1860s, they were outdated and only rediscovered in the Verdi renaissance in the late 1920s. After Aida (1871), Verdi rearranged Simon Boccanegra (1857) and Don Carlos (1867). In their new form, both works reveal the direction Verdi intended to take in order to create a new type of opera. In 1887, he put his ideas into practice with the première of Otello in Milan. After the death of Piave, Arrigo Boito had become his new librettist. Otello was another triumph at La Scala. Verdi’s new style was marked by a refined interplay between orchestra and canto. The text accentuated the psychological and musical dimension. For Otello, Verdi has been unjustly accused of copying Richard Wagner. In 1889/90, together with librettist Arrigo Boito, Verdi created what became his last opera: Falstaff. It premièred at La Scala in 1893 and was based on Shakespeare’s The merry wives of Windsor. Text and music leave an impression between ironic play and philosophical self-reflection. Falstaff, created at the age of nearly 80, is a commedia lirica, which had only very little in common with his earlier works, almost entirely tragedies. Verdi also alternates scenes in which all protagonists have their word at the same time with recitative passages. Ordinary arias and duets were almost eliminated. Falstaff is a comic ensemble opera which, once more, surprised and enchanted the public. In his late years, Verdi also composed several sacred works, known as Pezzi sacri, but which form no unity. During his lifetime, Verdi had called himself an agnostic. Some claim that the religious works mark his return to the Christian belief. However, after Aida, Verdi pretty much considered his career as an opera composer as over. Therefore, his turn to the “higher” sacred music made sense, also without any religious background. Verdi was also increasingly interested in Renaissance Music, especially in compositions by Palestrina whom he considered the father of Italian music, in analogy of Bach’s importance for Germany. One also remembers that Verdi had began his musical career at 12 with the sacred music he learned from Fernando Provesi. In November 1897, Strepponi died at Verdi’s house in Sant’Agata. On January 21, 1901, the composer suffered a stroke from which he died on January 27. First, he was buried next to his wife in Milan’s Cimitero Monumentale; a month later, amid national mourning, their bodies were moved to the Casa di Riposo, the foundation for retired musicians in Milan, founded by Verdi. Before the procession left the cemetery, Arturo Toscanini conducted a massed choir which sang Va, pensiero.